Dark Journalist takes a daring look into the rise of covert forces that comprise the "Deep State" sometimes referred to as the "The Breakaway Civilization" and exposes hidden information on how they exert influence on our world. 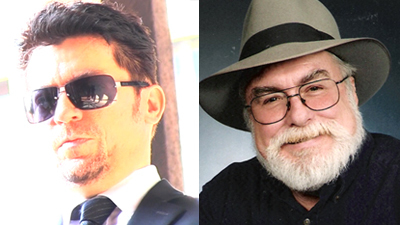 In-depth analysis and compelling interviews with amazing guests like best-selling authors Jim Marrs, Richard Dolan, Katherine Albrecht, Joseph Farrell, financial expert Catherine Austin Fitts and more! Enjoy fascinating topics such as deep politics, covert finance, UFOs, advanced technology, media manipulation, mind control and more! If you were looking for the cutting-edge of journalism, you've found it! Join Dark Journalist Daniel Liszt and Oxford Scholar Dr. Joseph P. Farrell in a fascinating look at the Rise of The New German Reich carefully planned and executed by members of a Nazi Underground who integrated themselves in a stealth fashion into the American Deep State! This special episode explores the deep state ties between the setting up of the EU and its relation to a plan devised in Nazi Germany to create a puppet federation that was vouchsafed for later generations. Farrell delves deeply into the interface of a secret government planning operations to reinstall a New Reich to dominate a 21st Century world! CERN Hadron Collider Dangers Revealed! 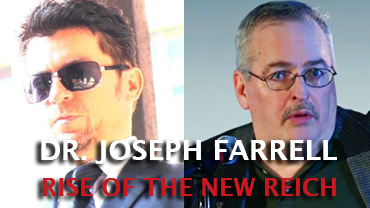 Join Dark Journalist as he welcomes back Oxford Scholar and author of the popular Giza Death Star book series Dr. Joseph P. Farrell. His latest book, The Third Way: The Nazi International, European Union and Corporate Fascism, explores the deep political roots and global dangers of the controversial particle physics6 experiment by CERN called The Hadron Collider, which was set up in Geneva, Switzerland with a massive military style budget of over six billion dollars! Dr. Farrell's research exposes CERN's official story of the so-called "Atom Smasher" Hadron Collider Project. 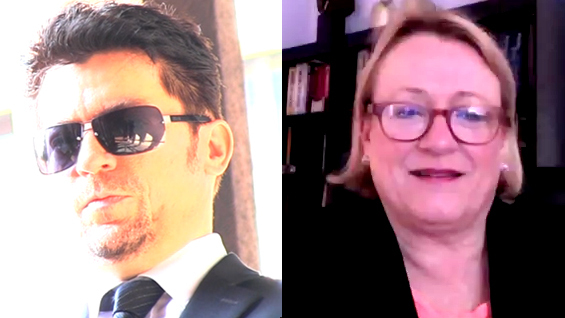 Join Dark Journalist as he welcomes back Former Assistant Housing Secretary and Financial Expert Catherine Austin Fitts for her sixth appearance on the show. In what will be remembered as the most amazing, insightful, gripping, stunning and controversial Dark Journalist episode on record, Catherine reveals that her deep research has shown that America is now at a major crossroads and has two choices for the country that we will become by the year 2020: Creative Freedom or Mechanized Tyranny, there is no third way. 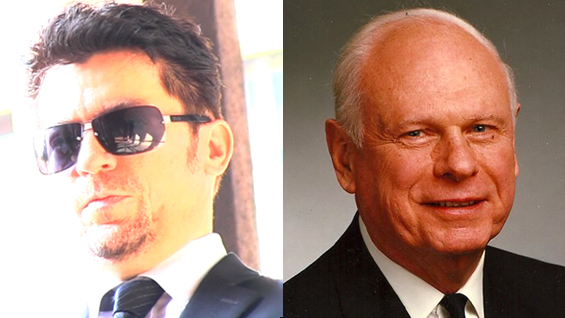 In this historic Dark Journalist episode, he welcomes Watergate Lawyer Douglas Caddy. Caddy is well-known for being the Attorney of the Watergate burglars who mysteriously broke into the Democratic National Committee. He also represented Texas businessman Billy Sol Estes in his bid to expose the lurid details of LBJ’s participation in the JFK Assassination. Caddy was close personal friends with ultra CIA insider and agent E. Howard Hunt. In their final meeting Hunt shared never before heard details of the JFK Assassination with Caddy. 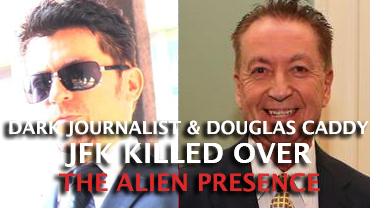 In a bombshell twist, Hunt then revealed that JFK was killed for his attempts to expose the reality of the Alien Presence. Join Dark Journalist for the return of acclaimed Coast to Coast AM Investigative Reporter and Star of Ancient Aliens Linda Moulton Howe, for a special extended 3 Hour Episode where she reveals some of the most controversial, stunning, eye-opening, and shocking revelations on the Alien Reality! 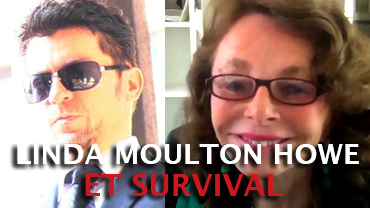 In this rare and revealing in-depth interview, Linda Moulton Howe explains why after 35 years of alien contact research she has now come to the conclusion that there are not only off-world alien visitors on the planet but also time-traveling human beings from a post-nuclear apocalypse future that are coming back to preserve vital DNA material for the survival of humankind! Join Dark Journalist and his special guests Coast to Coast AM Investigative Reporter Linda Moulton Howe, Former Assistant Housing Secretary Catherine Austin Fitts, Historian Richard Dolan, Nuclear Physicist Stanton Friedman, Former Defense Minister Paul Hellyer, Scholar Dr. Joseph P. Farrell and Professor Peter Dale Scott, as they unravel the treacherous path of The Breakaway Civilization, Deep State, Black Budget, UFO Secrecy, Covert Intelligence Ops, Advanced Technology, Secret Finance and more! In this unique episode, we will celebrate over ONE MILLION VIEWS with a show dedicated to the very best clips of the past year. 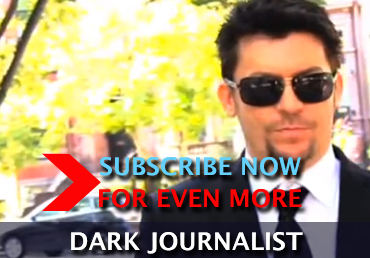 Dark Journalist welcomes back his special guest Oxford scholar and prolific author Dr. Joseph Farrell. Together, they reveal the hidden dealings of a secret breakaway group operating inside the national security state with covert knowledge of UFOs, black budget finances, advanced technology, and occult rituals. 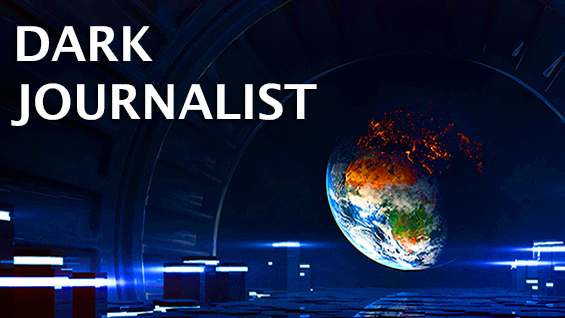 Advanced nazi bell technology, UFO sightings, alien contact, secret moon bases, and occult symbolism in crop circles are just some of the controversial subjects in this intense and informative Dark Journalist episode! 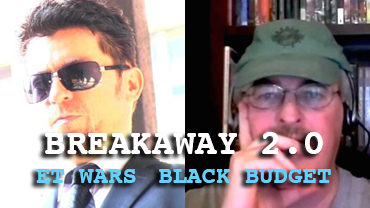 Join Dark Journalist and his special guest Oxford scholar and prolific author Dr. Joseph Farrell as they reveal the hidden dealings of a secret breakaway group operating inside the national security state with covert knowledge of UFOs, black budget finances, advanced technology, and occult rituals. 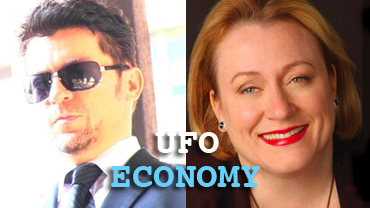 Join Dark Journalist and former Assistant Housing Secretary & Financial Expert Catherine Austin Fitts in this groundbreaking overview of the darkest secret of the Black Budget: The UFO Economy! What does the economy, surveillance, advanced technology, a secret space program, NASA and the covert finance world have to do with the UFOs flying in our airspace? 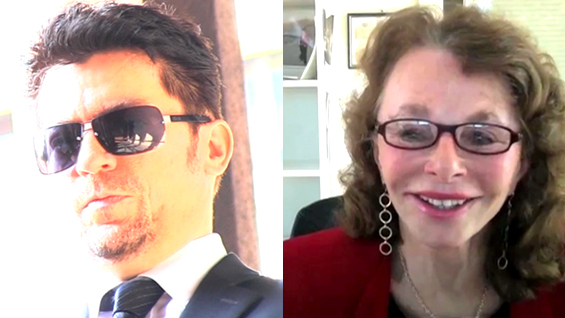 Find out the surprising answer and learn about the forces behind the upcoming geopolitical and market events of 2014. This special episode is making waves in every corner of the internet as viewers are absorbing its shocking implications! Join Dark Journalist and historian Richard Dolan as they examine the UFO coverup and its far-reaching implications of a breakaway civilization. 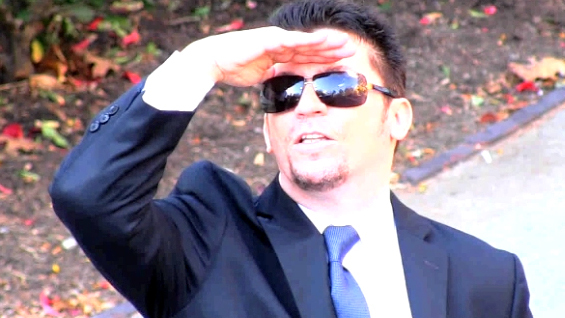 In this video, they cover Dolan's 20 years of research into the black budget, ET history, alien contact, advanced technology, off-world space programs, and much more! In the interview, Dolan discusses his off-the-record conversation with a prominent scientist who confirmed to him that he had worked on reverse-engineered alien technology. 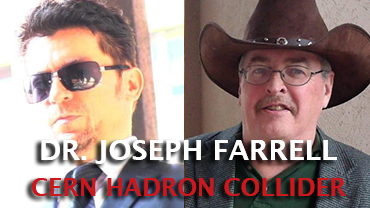 Join Dark Journalist and Oxford Scholar Dr. Joseph Farrell in a riveting interview as they explore the Roots of the Breakaway Civilization that include the Nazi International, NASA, early UFO reports and the Coalescence of Interests that opposed JFK and removed him from power! 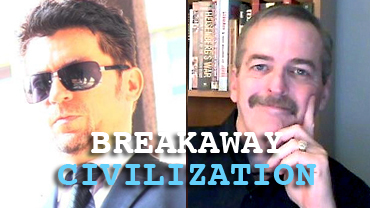 They also explore Farrell's latest, ground-breaking book "Covert Wars and Breakaway Civilizations." Find out the secrets behind the secret space programs and advanced technology that's been suppressed. 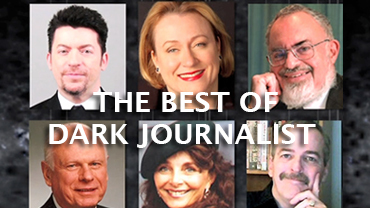 Join Dark Journalist for a penetrating interview with former Assistant Housing Secretary & financial expert Catherine Austin Fitts. Watch and listen to them investigate cutting-edge and interesting topics like the financial coup d'etat, slow burn economy, geo-political strategies, black budget machinations, entrainment technology, corporate media manipulation, The Breakaway Civilization and more! You don't want to miss part 1 of this fascinating and engaging interview. 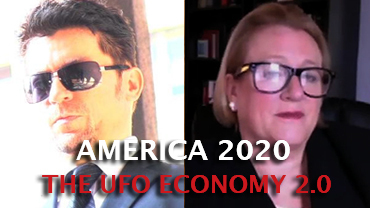 Join Dark Journalist for part 2 of his thought-provoking interview with former Assistant Housing Secretary & financial expert Catherine Austin Fitts. See them reveal covert forces behind historical events and modern headlines. Find out more about cutting-edge topics like the financial coup d'etat and black budget economics. Learn more about Catherine's personal battle with The Breakaway Civilization! If you enjoyed part 1, you don't want to miss part 2 of this fascinating interview. Dark Journalist answers hundreds of viewer questions in his first live Reddit AMA worldwide chat session for the popular Conspiracy Reddit Group. Dark Journalist discusses the Secret Space Program Conference he is hosting in Austin, Texas! 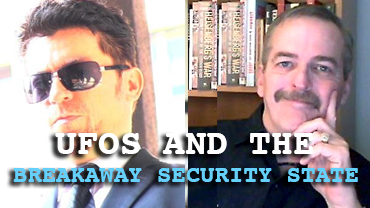 UFOs & The Breakaway Security State: Dark Journalist with Dr. Joseph Farrell. Economic Fascism: Dark Journalist & Former Assistant Housing Secretary Catherine Austin Fitts. 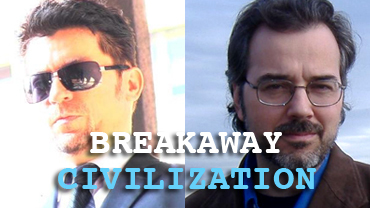 UFOs &The Breakaway Civilization: Dark Journalist with top historian Richard Dolan.